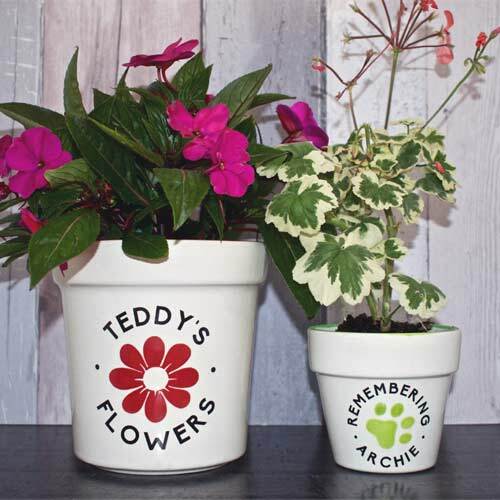 These beautiful plant pots are hand painted especially in memory of your pet and are a wonderful way to remember them with love and a smile. 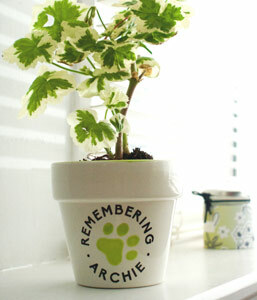 A touching memorial to a beloved pet which can enjoy the sun on your window sill or pride of place on the side board or coffee table. 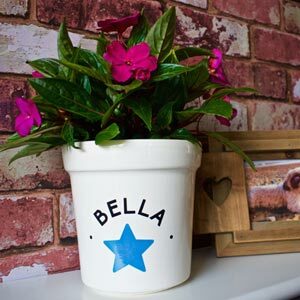 Each ceramic flower pot is hand painted with love in the design and colour of your choice and features your pet's name. They are hand glazed and kiln fired to give a professional, lasting finish. Stunning. Grow a beautiful plant in memory of your dog or, if they were cremated, these planters make a wonderful place to pop some of their ashes. Perfect if you don't want to keep the ashes in an urn or scatter all of them. A wonderful reminder of the circle of life. 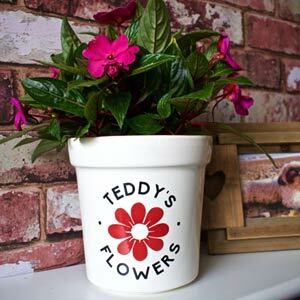 Available in small or medium pot sizes. 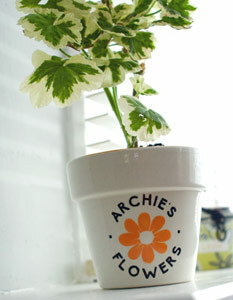 Suitable for indoor plants. We know you will appreciate the time and work that goes into them and their unique handmade charm. Whilst the bisque/pottery meets a high standard, any minor variations and imperfections are NOT considered manufacturing defects. They are evidence of an original, unique, one-of-a-kind, handcrafted, hand-finished piece. 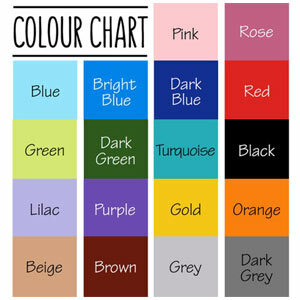 ordered plant pots. 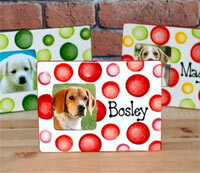 An excellent way to remember your beloved pets. The plant pot arrived in a timely manner, was well packaged and I am very pleased with it. I have a peace lily in it to commemorate my 3 GSDs, Zillah, Jaygo and Bruno.